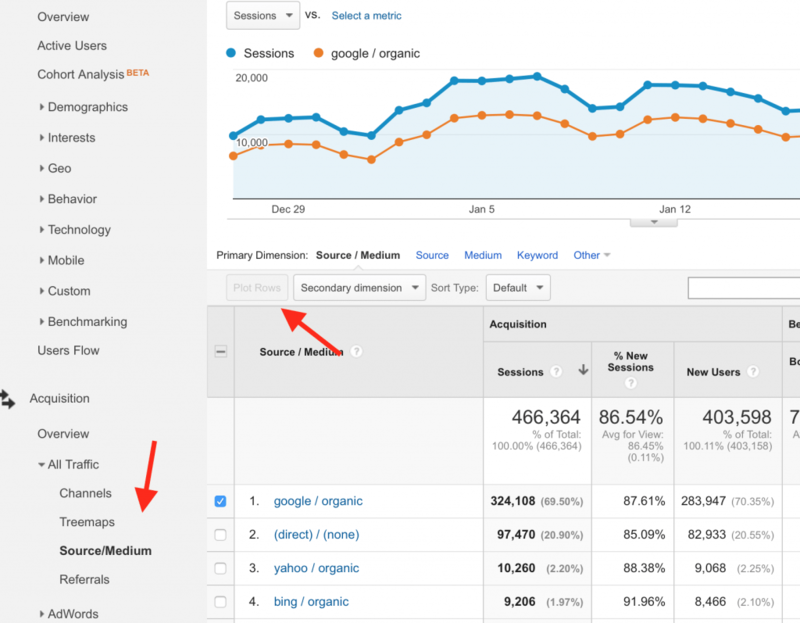 One of the most useful tools you can use to boost your SEO is Google Analytics. 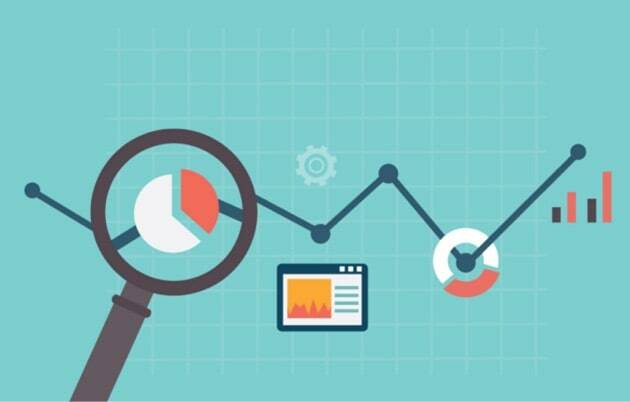 Analytics can give you a lot of data related to the performance of your website. Among other things, you can use it to discover areas that need to be improved, areas that are working better than others and areas that need your immediate attention. If you are new to SEO and website management, you will find the features of Google Analytics very useful and soon enough it will become one of your favorite tools. If you are using Analytics for a while, it’s time to refresh your knowledge and utilize the power of it’s reports to boost your website’s SEO. Without having Google Analytics installed on your website it’s like driving with your eyes closed. These are just a few questions that analytics’ reports can answer. 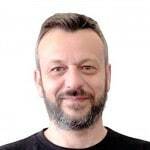 More advanced users can take it a step further and do customer segmentation, run experiments and a bunch of other things that the powerful Analytics platform provides to marketers. The purpose of this post is not to cover all Analytics features but to explain how to use the provided data to come up with actions that can improve your SEO. Before getting into the details, it’s worth mentioning that Analytics is a product of Google and it is free to use on any website or mobile application. There are a couple of ways to install Google Analytics on WordPress but the first step is to create an account and register your website with Analytics. Go to https://www.google.com/analytics and click the SIGN IN button from the top right corner and select Google Analytics. Follow the on-screen instructions and then setup a property. A property is the website you will use to add the analytics code. Next, you will be presented with your tracking id and code. This is the code that you need to add to your WordPress website. The easiest way is through a plugin, Google Analytics by Yoast. 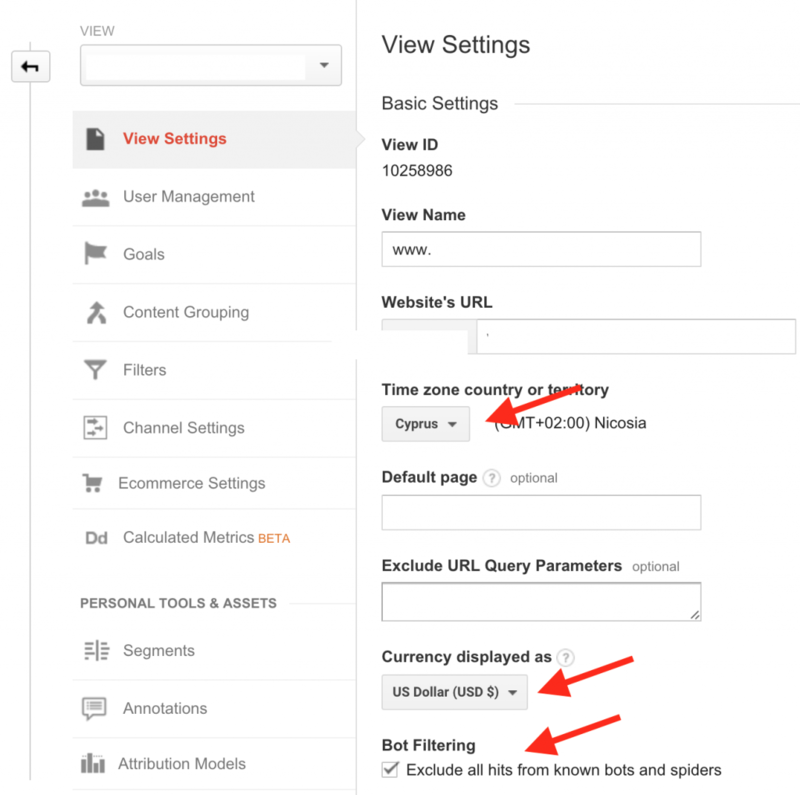 After you install the plugin to your website, go to ANALYTICS and then SETTINGS and enter your UA code (this is your tracking id) in the box as shown below. Next, click the UNIVERSAL tab and configure the settings as shown below. Now that you have setup analytics on your website and before digging into the reports, you need to make the following changes. Go to VIEW SETTINGS and check that your time zone is correct. Select the correct currency (this is useful if you have an ecommerce website) and also check the BOT FILTERING box to EXCLUDE ALL HITS FROM KNOWN BOTS AND SPIDERS. This will eliminate ‘data noise’ from your reports as it will not count any visits from search engines or other crawlers. Google allows you to associate your Google Analytics account with your Search Console account. This is very useful since you can see analytics data in search console and vice versa. 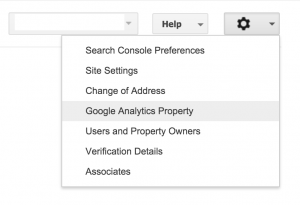 Login to your Google Search Console account, select your website and click the SETTINGS icon (top right) and select Google Analytics Property. Select which website to associate to the console account and click SAVE. One of the metrics you need to check regularly is how much traffic you receive from search engines and in particular Google. You can find the answer in the ALL TRAFFIC reports. As a first step select CHANNELS from ACQUISITION and set the date range from the top right date dropdown. What this report show is a summary of all the sources that brought traffic to your website. To visually see the contribution of organic traffic to total traffic, check the box next to organic traffic and click PLOT ROWS. 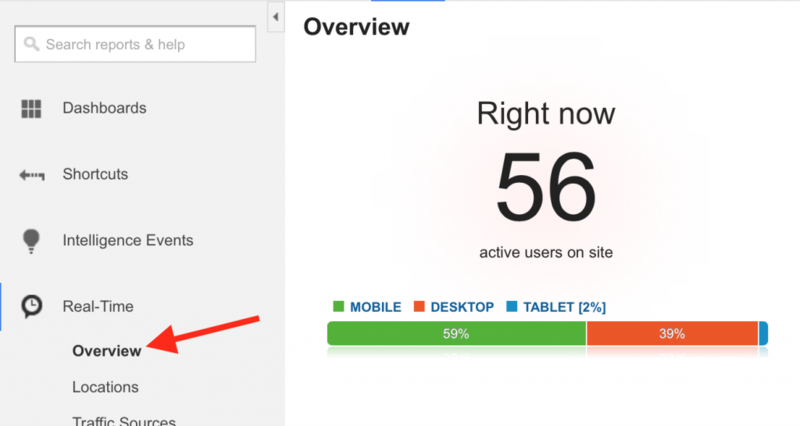 To drill down further and see from where exactly your traffic is coming from select SOURCE / MEDIUM from the left menu. Another useful metric that can help you improve your SEO is knowing which pages on your website get the most visits. You can view this by selecting BEHAVIOUR > SITE CONTENT > ALL PAGES. Besides seeing the page views that each page gets, you can also see the time they spend on your website, the bounce rate and the percentage of users that exit your website after viewing the particular page. To take it a step further, you can also click LANDING PAGES and see which pages they view the first time they land on your website and compare these with the most popular pages. This can give you a clue as to which pages users like to visit more and maybe add them in your sidebar or make them as ‘sticky posts’ on your homepage. Making it easy for users to visit your most popular pages as this will increase the time they spend on your website and this has a number of other benefits. One of the columns in the report shows the bounce rate. Bounce rate is a percentage that shows how many people left your website without visiting a second page. The lower the value of the bounce rate the better. You need to identify which pages have a high percentage, and take action to reduce the bounce rate and help users visits more pages from your website before they leave. An equally important report is also the EXIT PAGES report, that shows the last page of the website they visited before they leave. Pages with a high exit percentage can be revised by changing their layout or making the content more interesting. It is important that before you do any changes to keep track of the values before and after so that you can identify if the changes are improving your website or not. For the last couple of years everybody is talking about the importance of having a mobile friendly website. Statistics show one after another that more users are navigating the web using their smartphones and tablets than desktop computers. To get an idea if this trend is also true for your website, you can view the Mobile traffic report which is under AUDIENCE > MOBILE > OVERVIEW. What you see in this report is your traffic broken down into 3 categories: mobile, desktop and tablet. Depending on the results you can take several actions. For example, if you have a high number of visitors coming from mobile devices, you can review your mobile pages and make sure that they load fast, adhere to Google mobile guidelines but also have your ‘call to action’ buttons in prominent positions. This is a common mistake that many webmasters make. They optimize their ‘call to actions’ for desktop users but as the website grows in traffic the majority of users are coming from mobile and their conversions rates go down because their mobile websites are not optimized for conversions. Experts suggest that the best way to handle mobile is to have a responsive website and while this is true, this does not mean that you should rest just because your website is responsive. You have to study the numbers and change your responsive website in such a way so that conversions on mobile are equal (or more) to desktop. 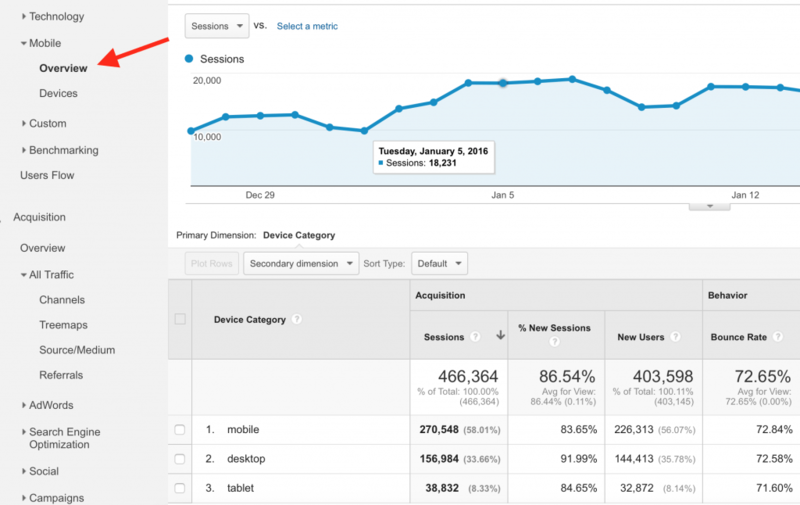 To view the exact mobile devices your visitors are using, click the DEVICES report. Another report that can help you provide the right content to your visitors is the location report found under AUDIENCE > GEO > LOCATION. 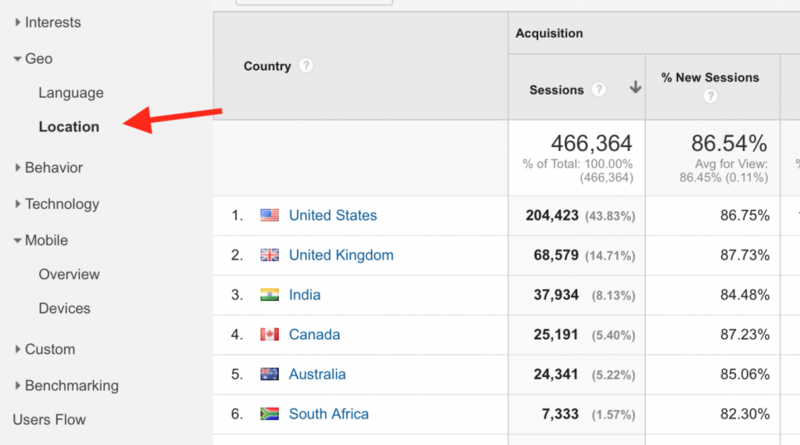 If you get a decent amount of traffic already, you will be surprised from how many countries you get visitors. This is a report that always fascinates me since although in a small scale, it shows the power of the Internet and how it can connect people around the World. How is this related to SEO? You can see from where your visitors are coming and try to provide them with content tailored to them. For example, if you have an ecommerce store selling Worldwide and you notice that a lot of your visitors are coming from the UK then you can display your product prices in their currency (GBP) or if you get many visits from Germany, you can consider having a German version of your website so that they can understand and interact with your content easier. How many visits are currently on your website and which pages do they visit? The answer can be found in the REAL TIME report (REAL TIME > OVERVIEW). Spend a few moments per day (in different times) and watch what is happening on your website. From where do the visits come, what did they search to find the website, which pages are they viewing, how much time they spend before leaving etc. Having this real time view can sometimes help you think outside the box and find ways to improve your website. 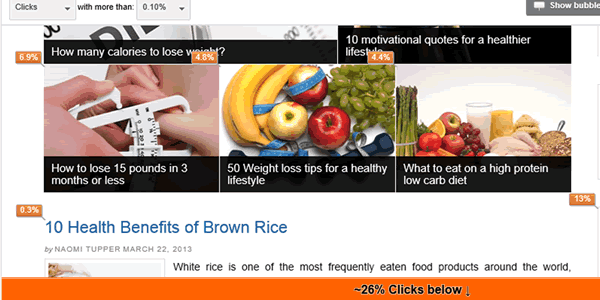 Which buttons / menu options receive the most clicks? Even wonder what people do while navigating your website? What buttons to they click from your menu and which parts of the pages do they view before leaving? IN-PAGE ANALYTICS under BEHAVIOUR gives you this information on a page-by-page basis. Note: An alternative way to view the in-page analytics report is to install this Chrome extension. It’s the official Google analytics extension available for users on chrome. Spend a few minutes and analyze your home page and your other most important pages. Identify which buttons get the most clicks and their location. Notice that as you scroll down a page the number of clicks is lower and consider whether you may have to move parts of a page (including your call-to-action buttons), higher so that they are more visible and clickable. 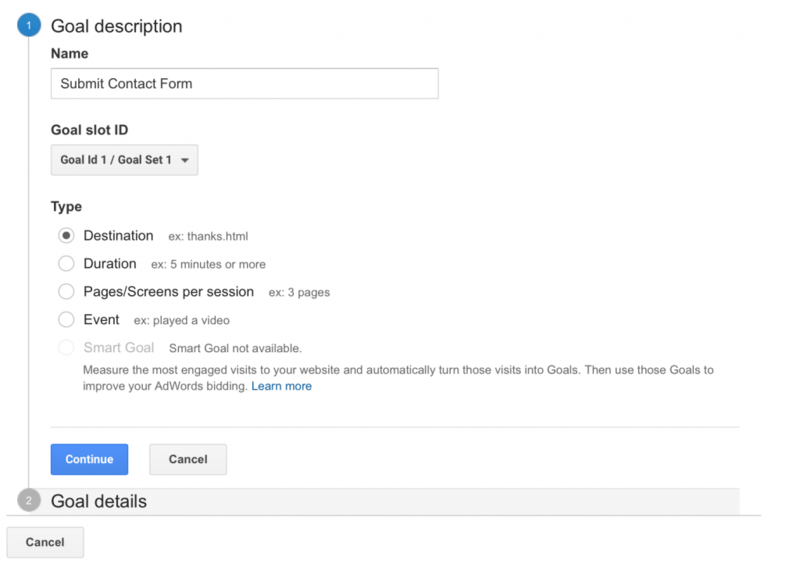 ‘Goals’ is one of the most useful functions of Google Analytics since they can help you figure out how to funnel your traffic to the most important parts of your website. Understand how to improve the conversion process by identifying the pages (or steps) that makes users abandon an action (typical example is a confusing shopping cart that keeps users from making a purchase). These are only a few examples of Goals, depending on the type of website you can come up with more goals that are aligned with your digital marketing strategy. Google has a detailed guide about goal setting and it is recommended that you take some time to read it carefully. It is important that you understand the different types of Goals, how they work and how to configure them. I will show you below a real example on how to set up one of the most common goals, ‘submit contact form’. One of the goals of my business website is to get leads for new potential customers that are in search of monthly SEO services. I have a page on the website that describes our SEO services and a contact form for interested customers to get in touch with us. When a customer submits a contact form they get to a ‘Thank you page’. By setting up the ‘Thank you’ page as a destination goal in Analytics, I can see which traffic sources generate more conversions and I can use this data to allocate my time and budget on what is more profitable for my business. For example, if I get more conversions from users coming from Google search then I will invest more time on blogging, if I get them from Facebook, I will spend more time on FB and so on. The above is a typical scenario applicable for many websites and online businesses. Click the NEW GOAL, type a name for your goal, select DESTINATION and click CONTINUE. In the Destination select EQUALS TO and type the URL of your ‘Thank you’ page (without the domain – like the example below) and click SAVE. When you go back to your Analytics reports, you will notice that there is a new dropdown and an extra column showing your goal completion values. Notice that you can now see per traffic source the number of goal completions, information that is valuable for your future steps and the growth of your website or business. Google analytics is a must have tool for every digital marketer. Whether you have a blog, corporate website or online store, Google analytics can tell you a lot of things about your website that you wouldn’t know otherwise. Analytics is a free product and the installation on WordPress is very easy. After you install it wait for a few days to gather some data and then start learning more about your website by experimenting with the different reports. 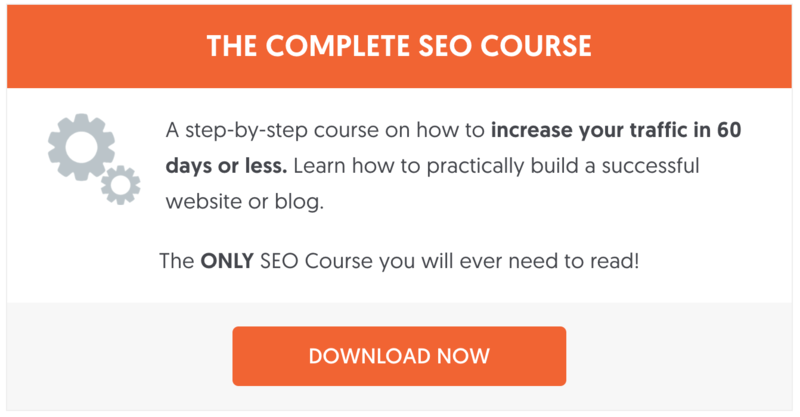 If you are a beginner to analytics and digital marketing and find all the options confusing, don’t worry things will get much easier once you master the basics. Familiarize yourself with the reports explained above and then gradually try to explore more reports and options. Don’t forget to set up your goals so that you can use the data in the reports in a more efficient way, always having in mind that your ultimate goal is to grow your website’s traffic, increase conversions and improve the user experience.